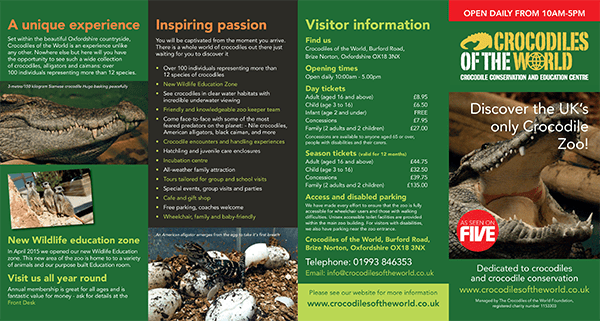 Here you can download a PDF of our Crocodiles of the World leaflet, which features entry prices, a map of the main attractions and an overview of what to expect from your visit. 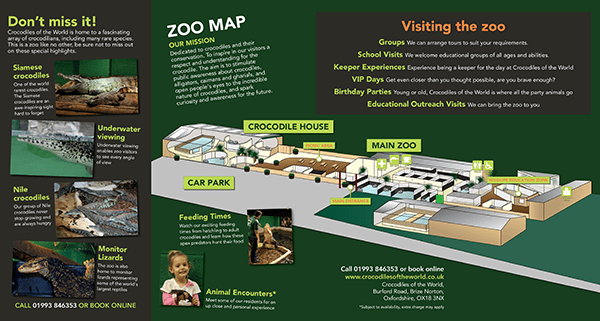 Our crocodile feeds vary daily so you will receive a daily itinerary on the day of your visit, listing all talks, feeds and animal encounters. With something happening every half an hour, there’s a whole world of crocodiles just waiting to be discovered!